Switching from one prescription opioid to another often solves the problem of debilitating side effects or inadequate pain relief, according to a recent study involving a wide range of cancer patients. Opioids are not all the same. And neither are those they are helping. Despite the increasing government restrictions and the frenzy over potential abuse, opioids can be a lifesaver for a mesothelioma patient finding the right fit. Supportive Care in Cancer published the multicenter study about opioid switching in October. It involved 498 cancer patients in Italy. All patients experienced moderate to severe pain related to a cancer and took one of four opioid options: Morphine, oxycodone, fentanyl or buprenorphine. Almost one-fourth of those patients had cancer in the lungs or the pleura, which included patients with pleural mesothelioma. Of the patients who switched opioids, 51.4 percent reported significantly improved pain reduction. A better control of side effects was found in 43.5 percent of the patients who switched. Oscar Corli of Mario Negri Institute for Pharmacological Research in Milan, Italy, was the lead author. Previous reports have shown that switching opioids results in adequate pain control in 50 to 90 percent of the cancer cases, but the burden of toxic reactions often limits the practice. The issue has been debated for years in the medical community. Physicians often see unmanaged pain and toxic side effects leading to patients abandoning their treatment entirely. 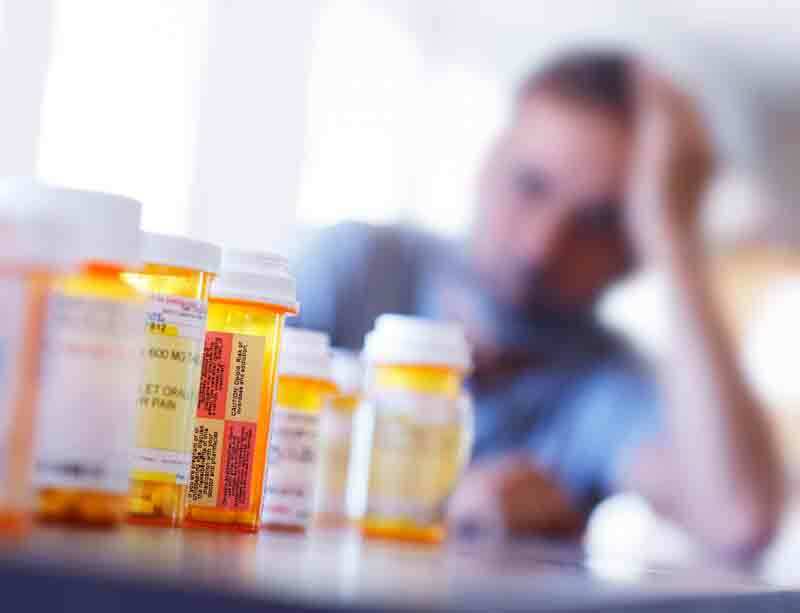 The study also reported a wide disparity in opioid-induced toxicity among patients. Crisler, who lives north of Atlanta, has seen the pros and cons of switching opioids. His pain problems stem partly from nerve damage sustained during his extrapleural pneumonectomy in 2002. After struggling with post-surgery pain management for several years, Crisler switched to fentanyl, a powerful synthetic opioid that worked especially well for him. Fentanyl allowed him to live a relatively normal life, helping him serve as a shining, post-surgery success story for Dr. David Sugarbaker, his doctor at Brigham and Women’s Hospital in 2002. Crisler’s motorcycle trips across the country often made him forget he ever had the disease. He was one of the very few pleural mesothelioma patients who lived more than 10 years after diagnosis. Unfortunately, government regulations started changing, reducing his ability to obtain it. His doctor came under pressure to reduce his ability to get it. The cost became prohibitive for Crisler. Early in 2017, he was switched to another opioid, changing his life significantly for the worse. The pain control has diminished considerably. The side effects have been almost crippling at times. His once-active lifestyle has disappeared. His motorcycle sits in the carport collecting dust. The mesothelioma never returned, but the pain has risen considerably. Corli, O. et al. (2018, October 24). Opioid switching and variability in response in pain cancer patients.